Where can you go for a drink around the U.S. Capitol? Well, since 1880 or so The Summerhouse has always offered refreshment. 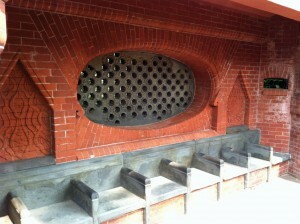 The hexagonal red brick building on the west lawn of the Senate side has a drinking fountain for more than 13 decades. There’s even seating for 22. Frederick Law Olmsted created arched entranceways, small windows, carvings and lots of ornate artistry with even a basket-weave exterior. The interior stone seats are underneath red Spanish mission tile for shade. 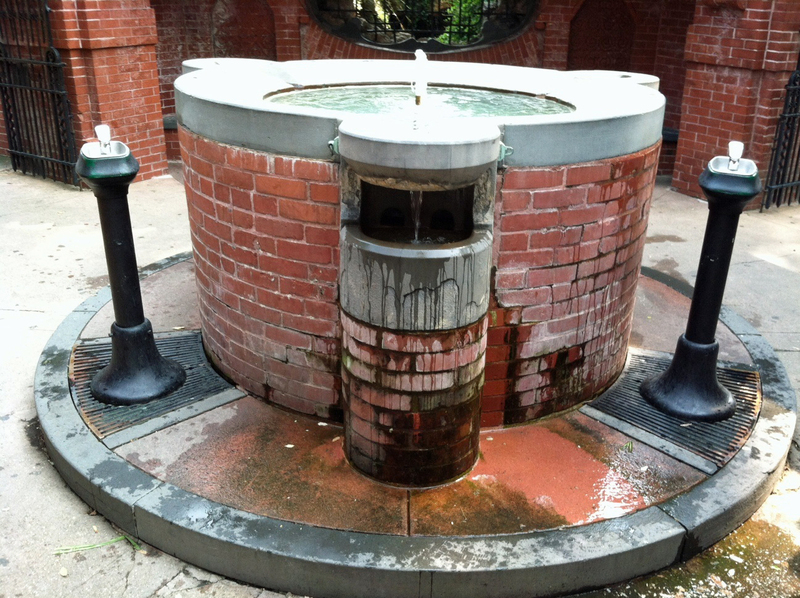 The focus is a small grotto where water cascades over rocks, though there are also three drinking fountains. 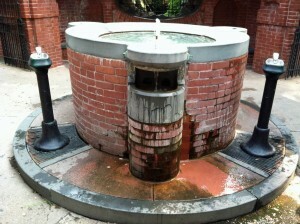 The water from a spring is fine, having tried it many times without a problem. 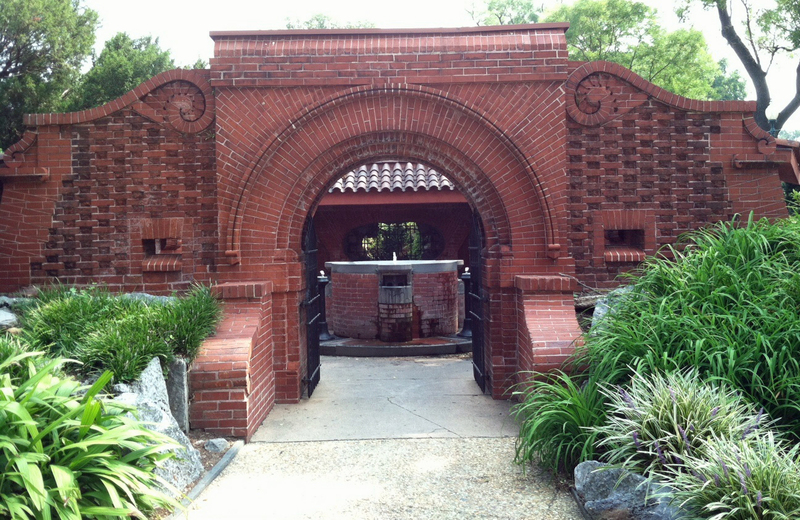 This entry was posted in Monuments and Statues and tagged Best Washington DC walking tours, Frederick Law Olmsted, Photos by Rick Snider, Summerhouse, U.S. Capitol, Washington D.C.. Bookmark the permalink.